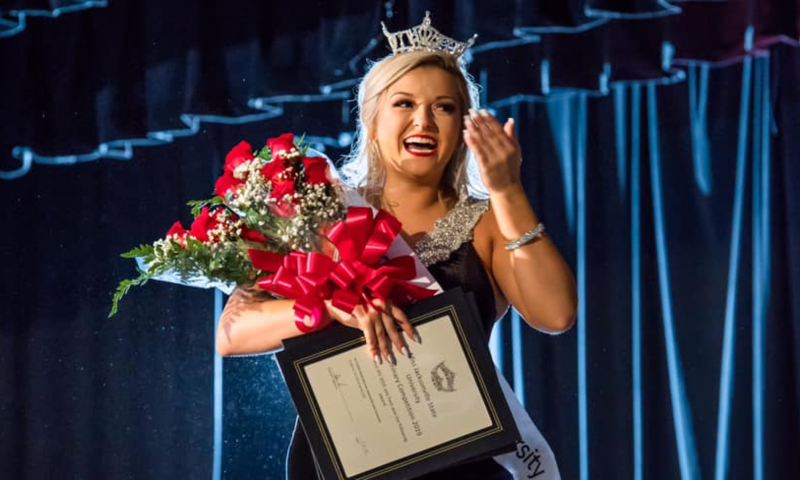 Sports management major Darby Angle was crowned Miss JSU on Jan. 11. She will go on to represent the university at the Miss Alabama pageant this summer. A second generation Gamecock, Darby is a junior hailing from Dallas, Texas. The Marching Ballerina demonstrated her range as a dancer during the pageant, delighting the audience with a humorous and high-energy tap route to Dolly Parton’s “9 to 5,” winning the talent portion of the competition. Her social impact initiative is “Precious As Rubies,” a personal platform to help women who have gone through sexual violence, specifically on their college campus, to realize their true value and purpose. Taylor Snider, a nursing major from Hueytown, Ala., was named first runner-up and won the Lifestyle and Fitness portion of the competition. Courtney Williams, a nutrition major from Leesburg, Ala., was second runner-up. JSU women have a long history of success in competition. Seven Miss Alabamas, one first runner-up to Miss America and one Miss America attended JSU.